Nothing says luxury quite like a touch of gold foil... yet mix a glimmer of metallic with natural textures or subdued hues and you can create a laid back glamour perfect for the relaxed bride and groom. 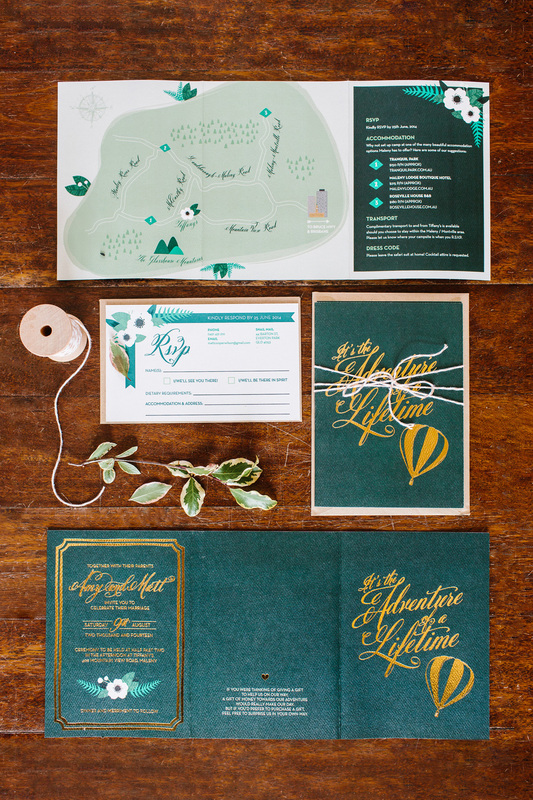 These custom designed gold foil wedding invitations were created with the theme of the event at top-of-mind. Are you looking for the perfect gold foil wedding invitation or just want a custom invitation to match your unique theme? Talk to Amy to arrange a custom quote.